I am not a huge kitchen gadget kinda guy. 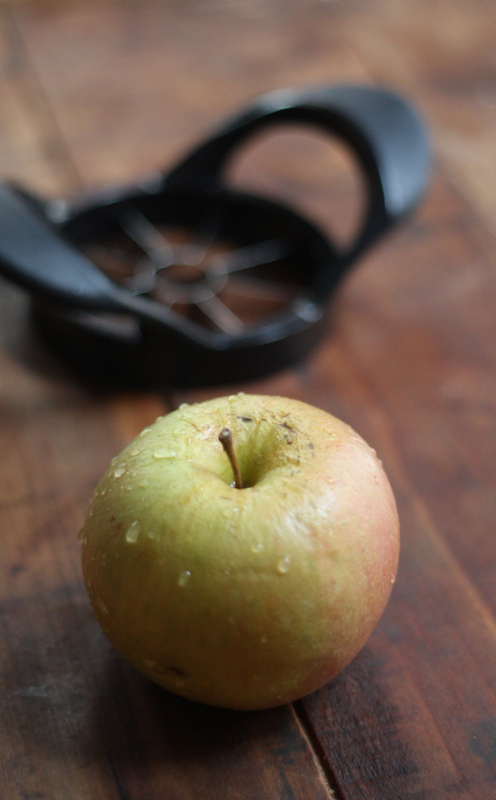 You need good knives, good pans, decent cutting boards, and of course good local food. 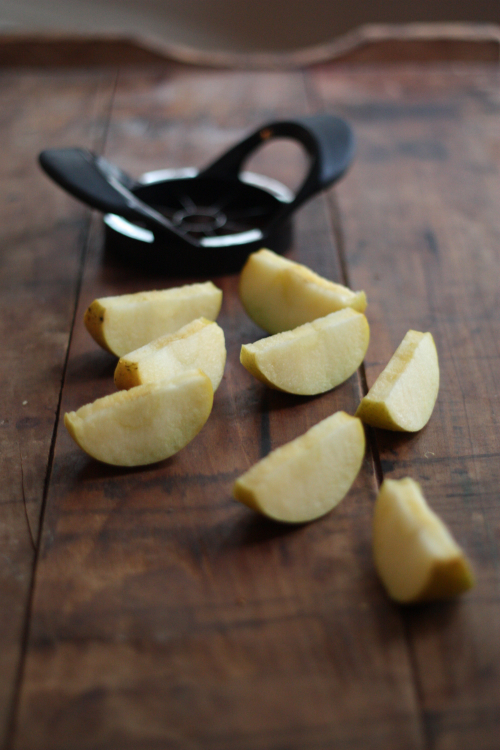 That being said, there are two gadgets tucked away in my kitchen that see the light of day quite often — one is this Easy Grip Apple Slicer and the other is my Microplane Classic Grater. There is also a kitchen gadget at the end of the post getting a lot of attention as of late — one I do not nor will ever own. Now, what one does not need is the Hutzler Banana Slicer Model #571 — and if you have one tucked away in your drawer I am going to assume it was a gift (and if not your secret is good with me). However, after reading the reviews, I'm almost wondering what I have done all my life without one of them! Great post, really love the pictures. I'm with you on both of these. 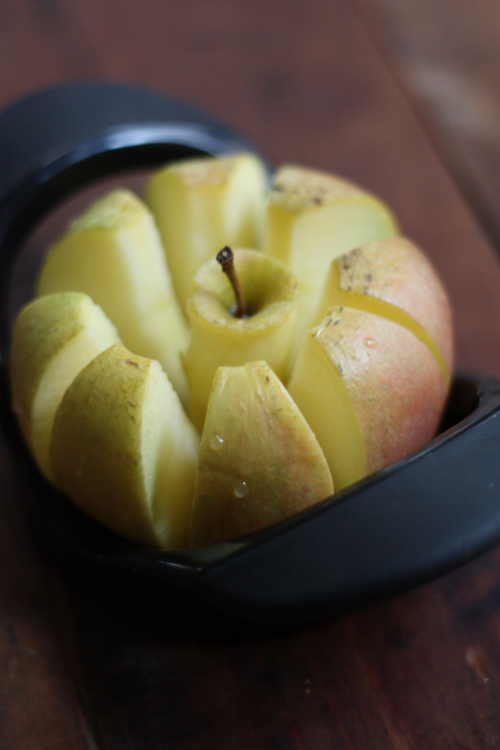 Apple slicer - practical, can see the benefit. 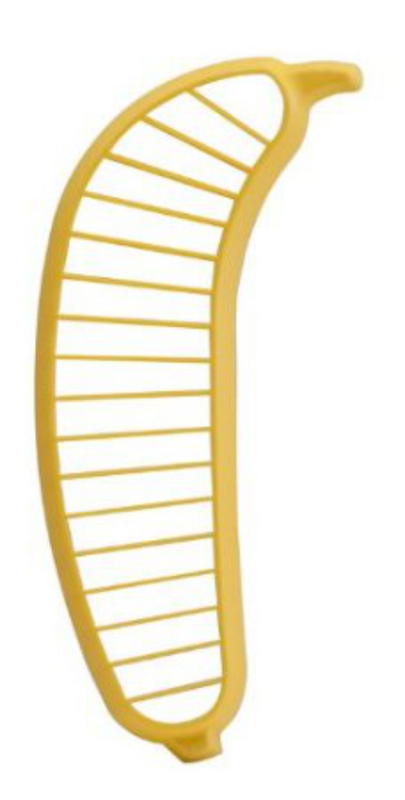 Banana Slicer - why? I've just read some of the reviews for this and they are written with some humor. Thanks for stopping by! No banana slicer in this house! Have a great weekend. 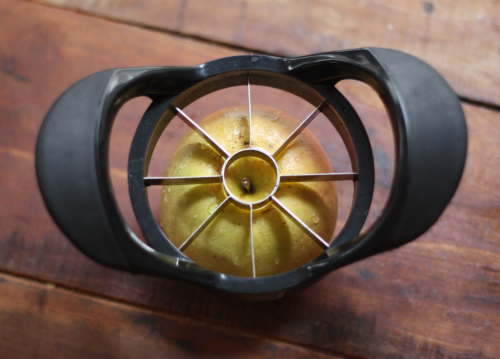 While I can see the benefit of an apple slicer, I don't have one and probably will not get one. 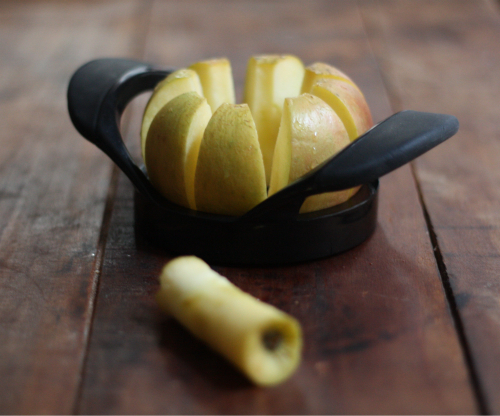 I have a larger gadget that I truly enjoy: a tomato peeler/deseeder. I enjoy fresh tomato sauce, but detest chunky tomatoes. My gadget that I have owned for many years helps my achieve smooth deliciousness.